Match Report of the Premier League fixture between Southampton and Cardiff City. Cardiff City came out on top at St Mary's as the Bluebirds leapfrogged Southampton to clamber out of the relegation zone. Second half goals from star performer and captain Sol Bamba and a late winner from Kenneth Zohore sealed Cardiff's win, despite Jack Stephen's equaliser in the 90th minute. Southampton and Cardiff fans joined together to honour striker Emiliano Sala who was tragically confirmed dead this week. A minute of silence prior to kick off was impeccably observed by St Mary's. The game started lively as expected from two sides in desperate need of a win. Southampton had control of the first half, with Nathan Redmond starring and going closest to scoring for the Saints in a goalless opening 45 minutes. It took 20 minutes for the first real chance of the game to unfold as a decisive ball from Oriol Romeu found Redmond from midfield. The wide-man cut in on the left side before firing a low driven shot wide of Neil Etheridge's post. Southampton captain Pierre-Emile Hojbjerg was at the centre of all things attacking for the hosts in the first 45 minutes. The Danish midfielder went close to scoring midway through the first half, as he hit a wicked low volley towards goal from a Ryan Bertrand cross. Etheridge got down well to save the effort and to keep his side in the game. Ironically, the closest Southampton came to scoring in the first half was from a near own-goal courtesy of a Aron Gunnarsson deflection. After some brilliant build up play, Redmond fired a low-driven cross in front of goal, Gunnarsson's attempted clearance didn't go as planned as Etheridge scurried along his line to save his teammate any embarrassment. The game opened up in the second half as the visitors claimed the first chance. Harry Arter's dominant run from midfield allowed him to set up substitute Kenneth Zohore, who's flick towards goal was cleared by Stephens. Fifteen minutes into the second half Cardiff quite bizarrely took the lead after having barely a chance in the first half. A corner from Arter found the head of Paterson in the box who headed into the path of skipper Bamba who made no mistake in putting away the first goal. In the 75th minute, a sense of disbelief fell on St Mary’s as Southampton failed to score from what seemed like three clear chances. Yan Valery made a terrific solo run into the box, his shot well saved by Etheridge, the rebound was gathered by Charlie Austin who saw his shot saved also. By the time the ball reached Mohamed Elyounoussi, Saints fans were on their feet ready to celebrate, but the wide man shot wide. Just as Cardiff thought they'd earned themselves the win, Jack Stephens popped up for Saints and grabbed a late equaliser. St Mary's erupted as the centre back poked home the decisive goal. St Mary's erupted again minutes later, this time from the away end as Zohore gave Cardiff the lead with seconds to play. Jubilant scenes for the Bluebirds. It was a crucial win for the Bluebirds, who lifted themselves out of the relegation zone and into 15th. The Saints however sit 17th and level on points with Burnley who play on Saturday evening. Southampton face a challenge as they travel to the Emirates to face Arsenal on the 24th. Earlier in the season it was thought that Cardiff didn't stand a chance to stay in the Premier League, however their mentality and performances of late have suggested otherwise. Cardiff's unlucky result at Arsenal paved way for a new found confidence evident in the team, with two Warnock's team earning consecutive wins in the top division for the first time since 1962. 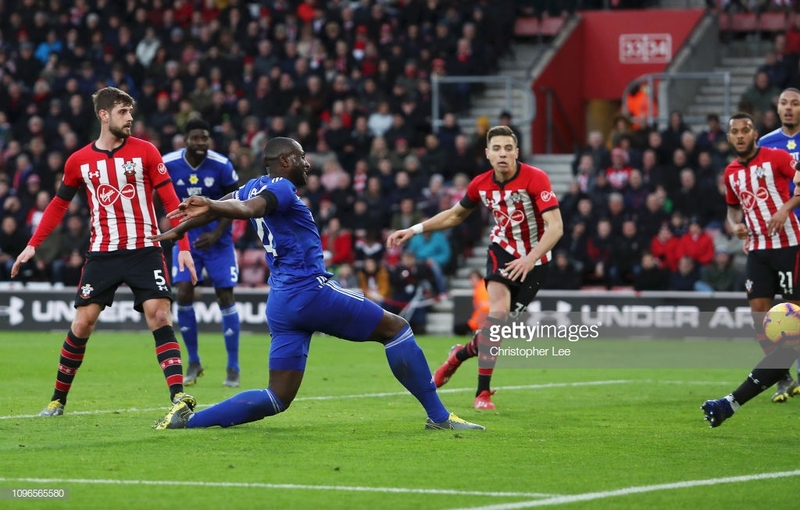 It was one way traffic in the first half, as Southampton dominated proceedings and created a flurry of chances as well as not allowing Cardiff a sniff at goal. Redmond, Valery, Hojbjerg and Ward-Prowse were stand out performer's in the first half, making the result even tougher to swallow from a Saint's perspective. It'll be interesting to see just how Southampton respond with Arsenal up next in the Premier League.